We’ve covered the rules and regulations covered by the NFA. Now, we’re going to dig a little bit deeper to cover suppressors and how you can get the most out of yours. First and foremost, suppressors are covered by the National Firearms Act (where they’re referred to as silencers), so getting one isn’t as simple as going out and buying a new shotgun or pistol. There are some hoops that you’ll have to jump through to get one, but Americans living in 42 states can legally own one with a permit. Map where suppressors are legal and illegal (as of 2017). In addition, you’ll also want to make sure you’re not violating any municipal or state laws by virtue of owning a suppressor. 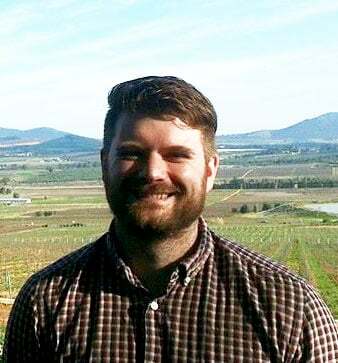 When it doubt, consult someone from your local and state government before continuing. Now that the legal stuff is out of the way, let’s get started. If there’s one thing that you can say about the firearms community, it’s that most diehard shooters do not like inaccuracies. And nowhere is that illustrated as well as it is regarding the debate whether to use the term silencer or suppressor. 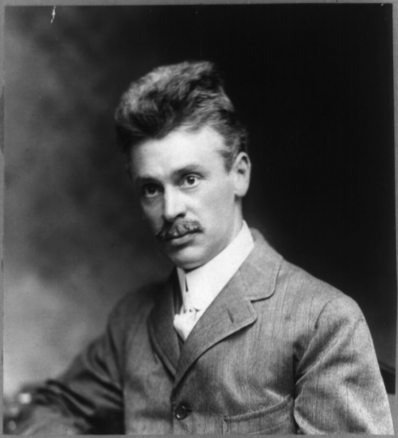 Hiram Stevens Maxim, credited with making the first suppressor in 1902. With that said, I’m not too concerned about the semantics, and for the purposes of this article we’ll be calling it a suppressor. Basically, suppressors work by muffling the “boom” produced when supersonic bullets break the sound barrier, known as the supersonic crack. Additionally, suppressors also work by suppressing the muzzle blast sound, which is caused by gases rapidly escaping at incredibly high pressure. What suppressors don’t do, however, is muffle the mechanical sounds of the gun being operated, which is why you can still hear those clicks when shooting with one. Check out this short video clip to see the basics of how a suppressor works. There are two types of ammo out there. Those who travel slower than the speed of sound (subsonic) and those who break the sound barrier (supersonic). And as you already know, when an object cracks the sound barrier, it makes a loud noise known as a sonic boom. If you can’t or don’t want to buy a suppressor but you still want to shoot ear-safe(er) ammo, you can opt for a subsonic round instead. While they won’t be as quiet as shooting with a suppressor because of muzzle blast, they won’t have the loud boom that comes with breaking the sound barrier. The benefit of subsonic rounds is that they’re easier on the ears and won’t spook every animal in a mile radius when you’re on a hunt. The drawback, however, is that subsonic rounds just aren’t that powerful. So if you want to go shooting wild hogs or deer, you’re probably going to want to stick to a distance of around 50 yards away – even when using a large bullet like the .300 AAC Blackout, which is one of the most popular subsonic hunting rounds. 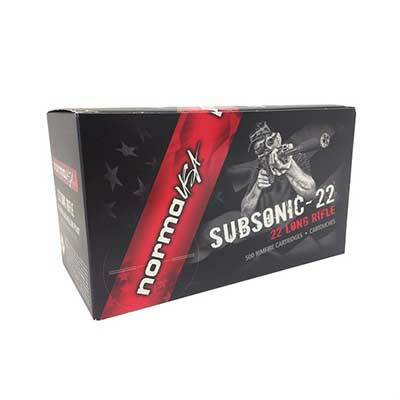 Norma Subsonic is a popular subsonic brand. Shooting subsonic ammo through a suppressor will give you maximum quietness. Shooting a subsonic round with a suppressor will muffle out the powder explosion noise and leave you with quiet mechanical sounds. TLDR: no sonic boom, practically silent with a suppressor, but weak and bullet drop starts to occur around 70 yards. Supersonic ammo is faster, louder, and more powerful than its subsonic counterpart. The main problem with shooting supersonic rounds is that they’re hell on your ears if you don’t have proper protection. Also, if you’re hunting and miss a shot with a supersonic round, chances are that buck (or whatever you’re shooting) is going to be spooked and immediately run off. Remington Core-Lokt is one of our preferred hunting brands for North American game. The thing to remember about supersonic ammo is that it creates a lot sonic boom as it’s leaving the barrel, and this contributes a lot to its high noise level. But you can still shoot supersonic ammo with a suppressor attached and it’ll do a good job of reducing the powder explosion. However, even when shooting through the suppressor, the bullet will still make a loud sonic boom when breaking the sound barrier. For those of you wondering what’s the point of firing supersonic rounds with a suppressor, the limited reduction of noise isn’t anywhere near firing subsonic rounds suppressed (which essentially sounds like they do in the movies), but it’s still much easier on the ears. TLDR: suppressors lower the sound of supersonic ammo but they don’t prevent the sonic boom, so they’re still quite noisy. Your suppressor isn’t like some run-of-the-mill attachment that mounts onto your gun. It’s more like an extension of your actual firearm. And just like your gun needs some TLC after being fired, some suppressors also need some maintenance after a day outdoors. But before we talk about cleaning suppressors, let me say that it’s unequivocally a bad idea to jam your cleaning rod down a suppressor without first learning how (and if) it needs to be cleaned. You can cause an obstruction with your cotton that could affect the suppressor’s effectiveness. For the most part, suppressors used to shoot high pressure cartridges don’t require cleaning. This is because the heat from the bullet actually burns away most of the residue left on the suppressor, meaning that it essentially cleans itself. However, if your suppressor is shooting a lot of .22LR or .300 AAC Blackout/whisper rounds, you’ll probably need to clean it. You can give it a wipe down with a threaded cotton swab, or you can shoot a compatible cartridge that will burn away the buildup. 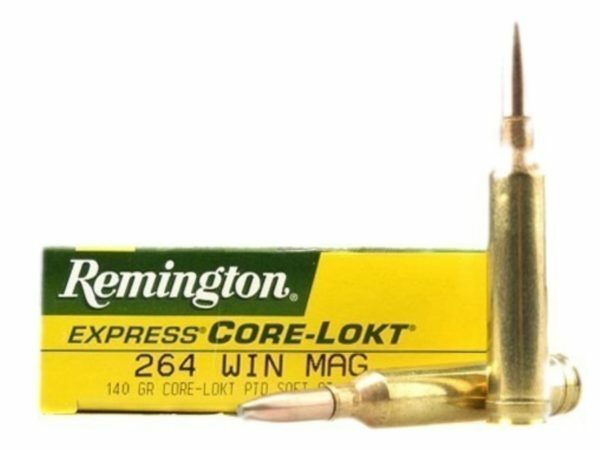 For the .22LR you can pop off a few 5.56 rounds respectively, and for the .300 AAC Blackout/Whisper rounds you can squeeze a few with a .308 to burn away those deposits. If your gun requires a QD attachment in order to attach your suppressor, you’re also going to want to clean your muzzle device after every outing. Failing to care for your muzzle device can cause the suppressor to get stuck on your device, and the last thing you want to do is risk damaging one (or both) of those attachments trying to get them apart. With rimfire suppressors, you should be able to take the can apart and wipe down the buildup. For other suppressors (if you must clean them), use a cotton swab and give a gentle wipe along the tip of the suppressor, but don’t bore the swab down into the hole. Under no circumstances should you use an abrasive cleaning solvent on your suppressor. If you’ve got a threaded barrel then butting on a suppressor is a quick and straightforward task. Just unscrew the thread protector and screw the suppressor on in its place and you’re ready to start shooting. Alternatively, you can also buy a threaded barrel and put it on yourself. While swapping out the barrel is a relatively easy and straightforward, you might not be comfortable yet with taking apart your gun. If that’s the case, there are a number of companies out there who’ll do it for you for a reasonable price. Your other suppressor option is the quick-detach (sometimes called quick attach) suppressor, which doesn’t screw directly onto your barrel thread but rather attaches to a QD mount that’s attached to your barrel. The benefit that quick-attach suppressors have over direct-thread suppressors is mostly convenience. They’re great for guns that already have a muzzle device on them, as the suppressor should be compatible with the muzzle mount without the need of any adapters. This means that you can attach your suppressor directly to your flash hider or muzzle break. Quick-attach suppressors also provide one functional advantage over their direct-thread counterpart: they won’t loosen while shooting a high volume of rounds. 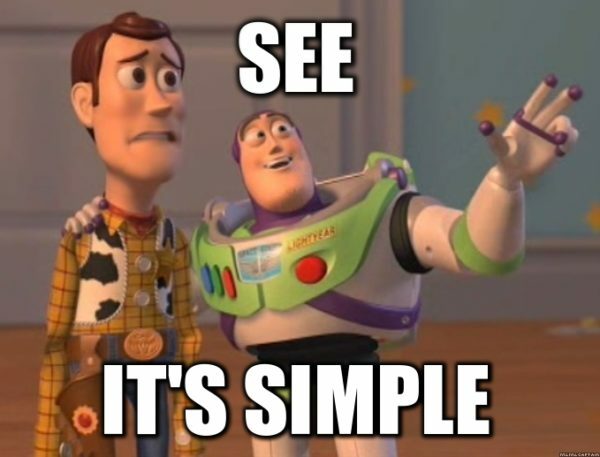 This is because quick-attach suppressors typically come with a locking mechanism that secures the device so that you don’t have to worry about it wobbling around. The rimfire suppressor – works with rimfire cartridges. Most rimfire suppressors have the capability of being disassembled and cleaned, as rimfire cartridge is known to leave a lot of residue. The pistol suppressor – pistol suppressors are designed specifically to handle the recoil delivered by semiautomatic handguns. Most of them also have a Neilsen Device inside of them to help with cycling the action. 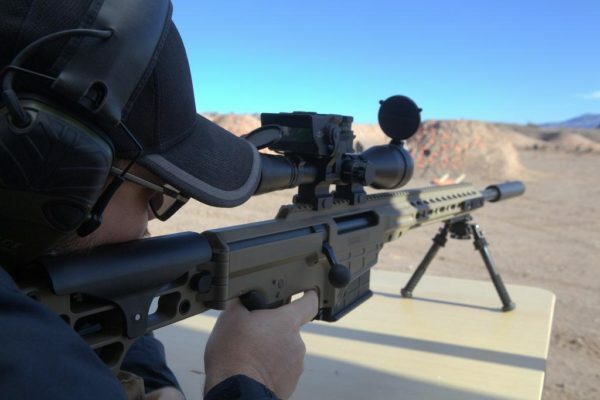 The rifle suppressor – rifle suppressors are designed to handle higher pressure and temperature than other suppressors. As a rule, they can’t be taken apart to be cleaned – but the good news is most rounds burn away deposits. The shotgun suppressor – if you’ve seen the movie “No Country for Old Men” then you already know about the shotgun suppressor. Not as essential as other suppressors, but still does its job at muffling shotgun blasts. Finally, there’s the multi-cal suppressor. Most suppressors on the market are designed to handle a specific cartridge or narrow range of cartridges. Multi-cal suppressors, which is short for multi caliber suppressors, are like the jack of all trades of the suppressor world. They enable a single device to handle a wide range of calibers, with some multi-cal suppressors actually working with everything from a .22LR to a .300 Win Mag. One of the more popular multi-cal suppressors out there is the Hybrid by SilencerCo, which costs about $875. While the Hybrid is no cheap suppressor, it’s able to support everything from 9mm to .45 ACP for handguns, and 5.56 all the way up to .45-70 when attached to a rifle. The other popular multi-cal suppressor is the One by Gemtech. This versatile suppressor has a whopping $1045 sticker price, but is able to work with a number of rifle rounds from the .17HM2 all the way up to the .300 Win Mag. It’s pretty much the only rifle suppressor you’d ever need. Whelp, that’s the lowdown on suppressors. Make sure to stay turned to next time when we talk about some of the popular suppressor models that you should be using on your guns. Until then, check out this oil filter that was turned into a suppressor, but don’t get any ideas about doing this yourself without a permit…its super illegal. Do you have any other questions about owning or maintaining a suppressor? Let us know in the comments below and we’ll be sure your question gets answered! My supressor in 22 lr. Is mounted on a ruger american bolt action is loud for the first shot (FRP) & very quiet on the second but loud again on the third shot & there after. Do you have an idea what would cause this? You guys only covered two different suppressors. 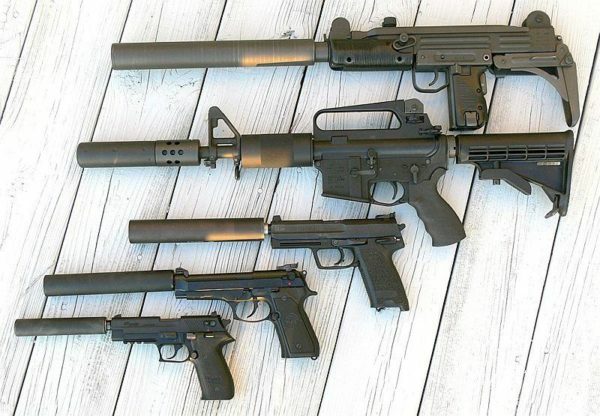 Suppressor companies have complete lineups of different ones. 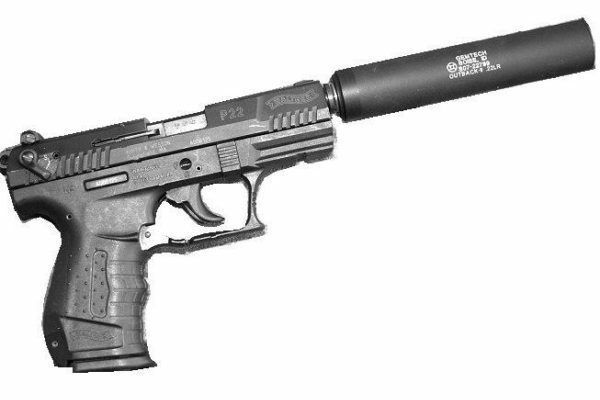 Do you get a decibel reduction if you use suppressors specific to specific calibers? If the hybrid silencers work just as well on a multitude of calibers, why so many different ones? First of all, suppressor DON’T muffle the supersonic crack.. Without getting too scientific, the ” crack” doesn’t happen at just one point therefore it’s impossible to muffle. Which is why you still hear the “crack” when suppressed. 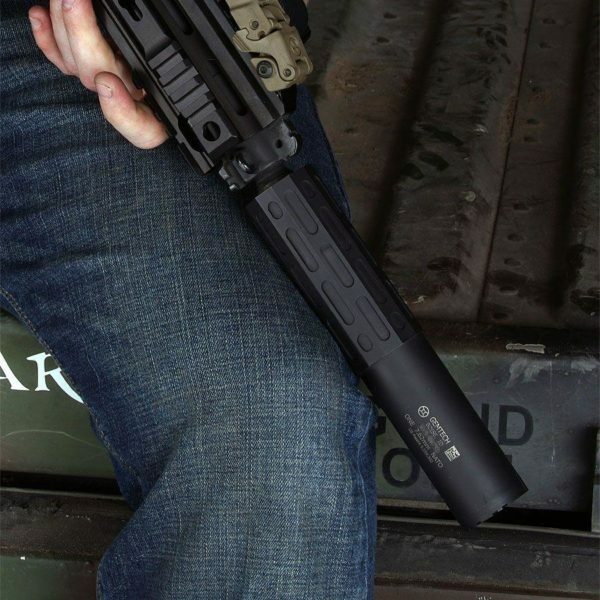 Suppressors slow/dissipate the expanding gasses exiting the barrel, muffling the “boom”. Secondly, it’s not a good idea to recommend .556 through a .22 (to clean them). Most .22 (rimfire) suppressors (even if rated for full auto) CANNOT handle the pressures of .223/.556 and doing so will have catastrophic results.